Jen enjoys working with individuals and families to help structure their investment portfolios to meet their life goals. She appreciates the opportunity to problem-solve through careful planning while building long-term relationships with clients. Jen also has experience working with foundations, endowments and other institutions to develop investment policy and thoughtfully align investments with the organization’s goals and mission. Prior to joining Fiduciary Trust, she was a Principal at Brown Advisory where she served as a Client Advisor and Associate Portfolio Manager working with individuals, families, and foundations and endowments. 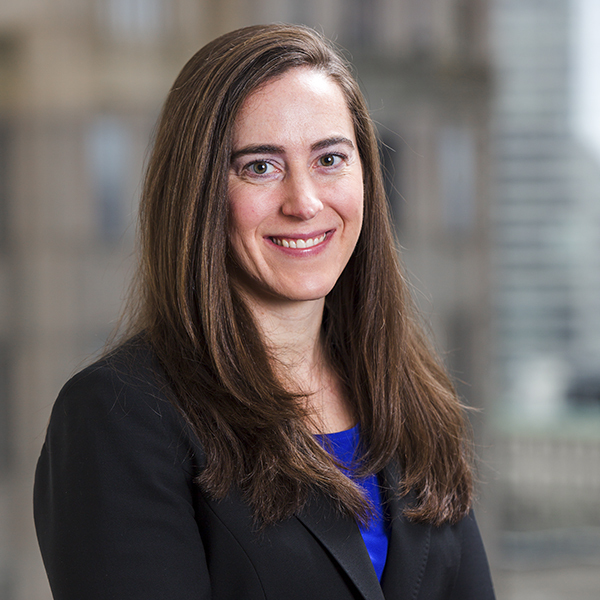 Jen previously spent five years as a Vice President at Goldman Sachs and has also held roles at BlackRock, AllianceBernstein and Geneva Global. Outside of work, Jen enjoys being outdoors, taking on new challenges, reading and traveling with her husband. She is learning to speak Spanish and makes a delicious sweet potato soufflé.